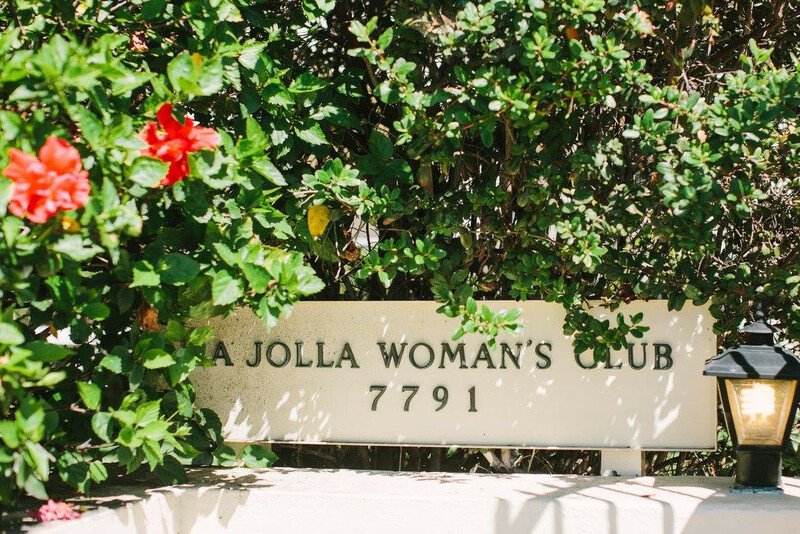 La Jolla Woman’s Club is located in the heart of La Jolla Village, one block from the ocean. 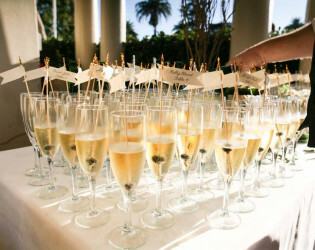 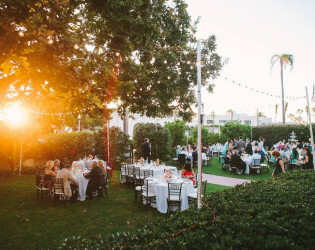 The club hosts private events such as weddings, non-profit fundraisers, receptions, lectures, dinners, holiday parties, celebrations of life, retreats and educational meetings. La Jolla Woman’s Club is located in the heart of La Jolla Village, one block from the ocean. 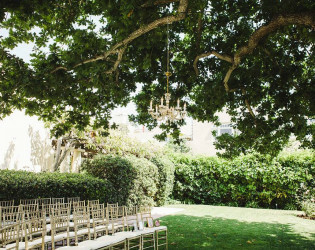 With its exquisite private gardens, historic Irving Gill building and ocean view, the club is a magical setting for any special occasion. The club hosts private events such as weddings, non-profit fundraisers, receptions, lectures, dinners, holiday parties, celebrations of life, retreats and educational meetings. 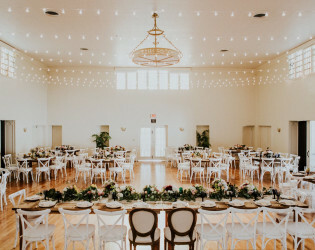 The raised stage in the ballroom is perfect for entertainment, auctions, lectures and panels, and the hardwood ballroom floor is popular for dancing. 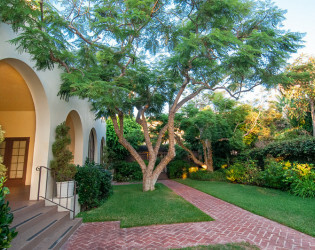 The club is surrounded on three sides by lovely gardens. 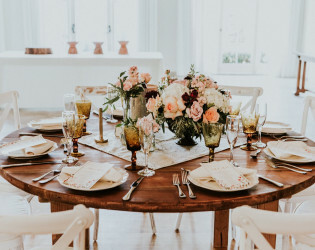 Service and Tax is included in flat rate. 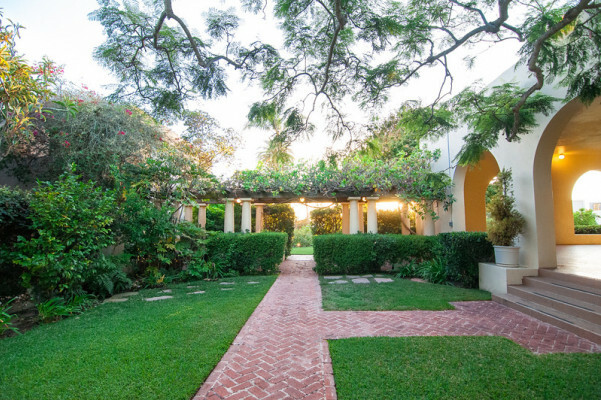 Additional charges consist of purchasing additional hours on site, and outside insurance requirement. 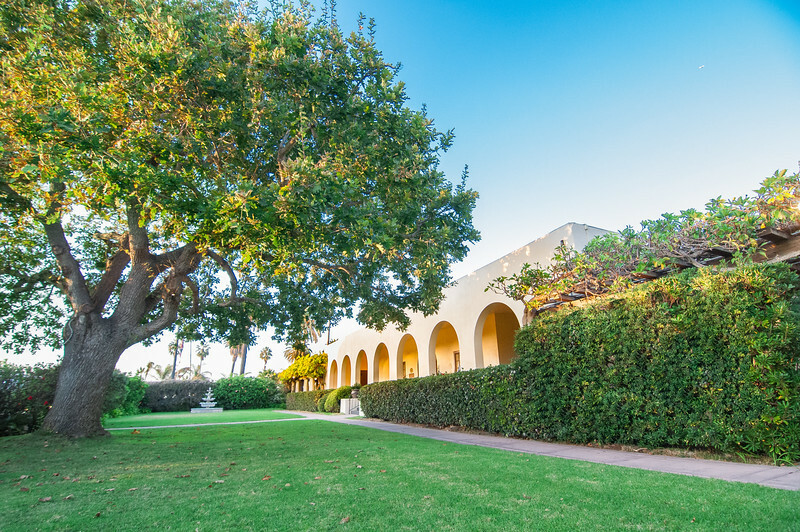 Handful of hotels located in walking distance. 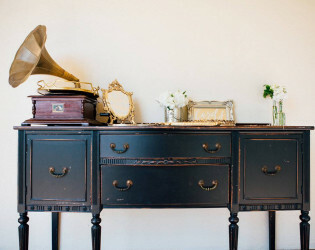 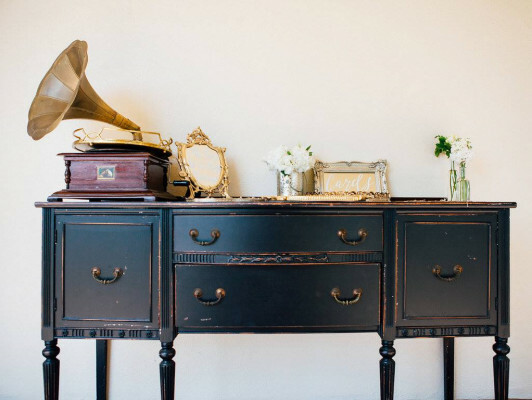 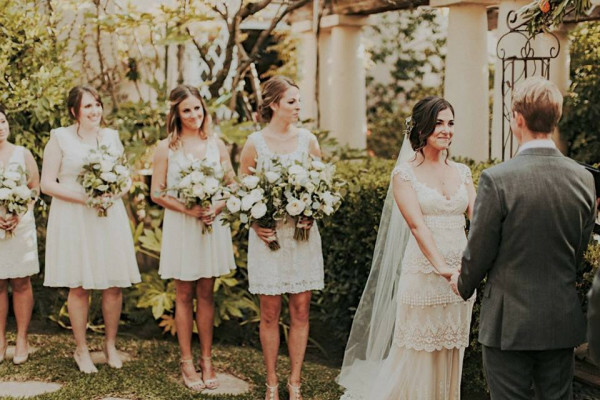 Onsite is a bridal and groom ensuite. Private rooms for bride, groom, and wedding parties with private bathrooms and dressing areas. 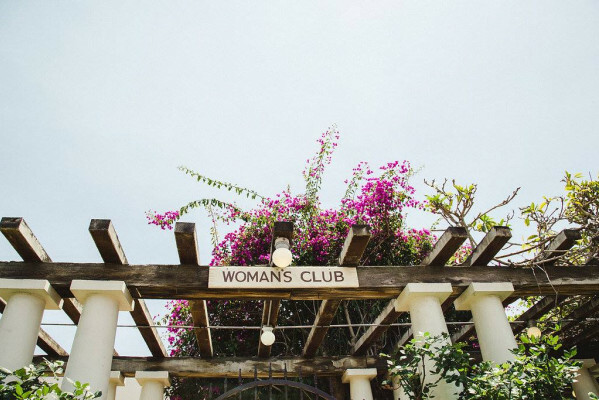 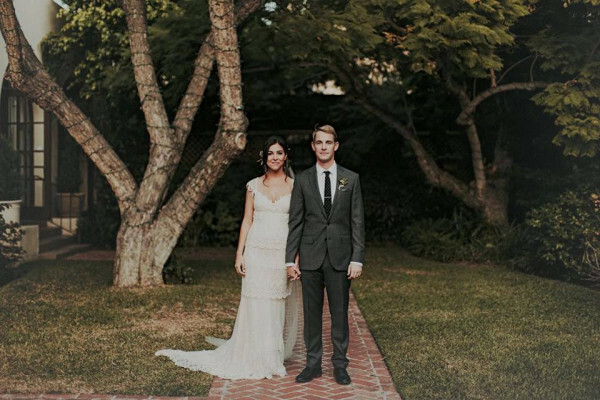 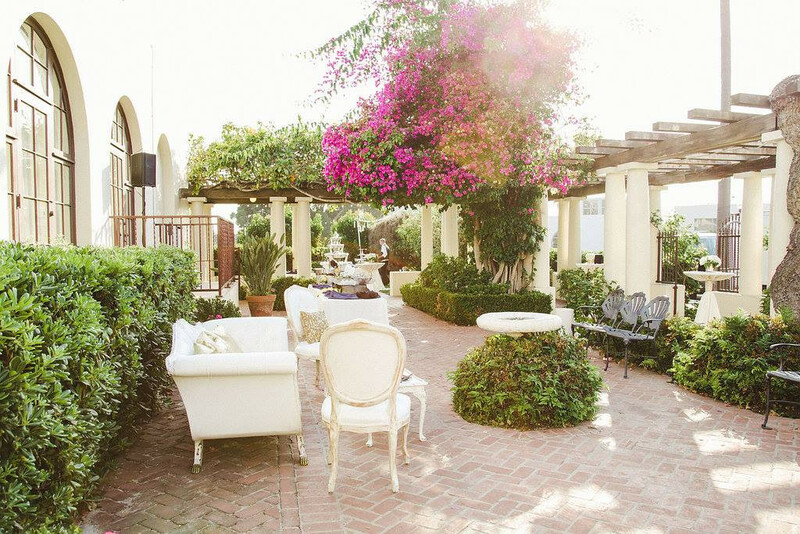 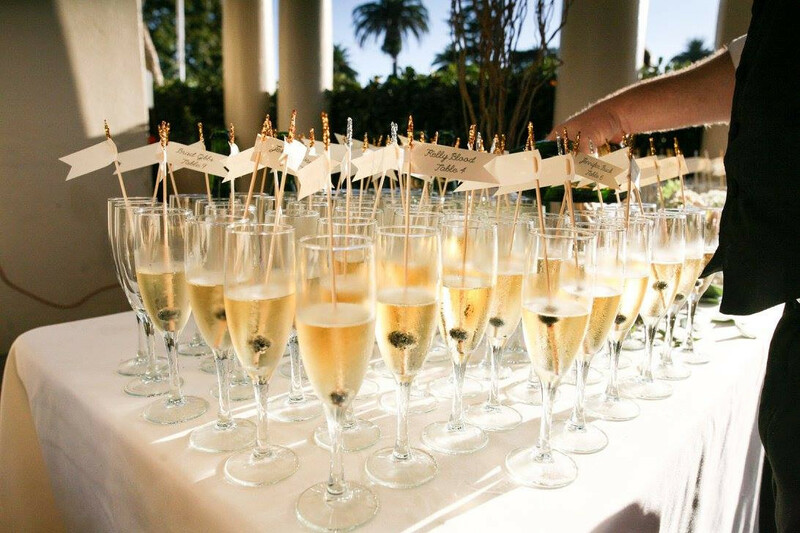 Located in the heart of historic La Jolla Village, just one block from the ocean, La Jolla Woman’s Club provides a peaceful and luxurious setting for La Jolla weddings. 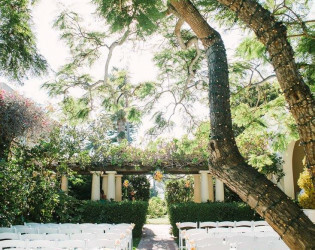 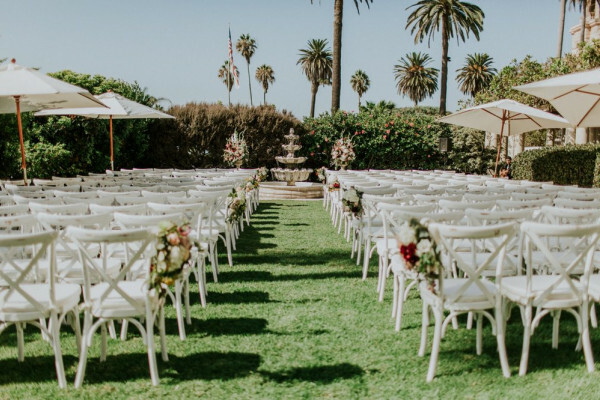 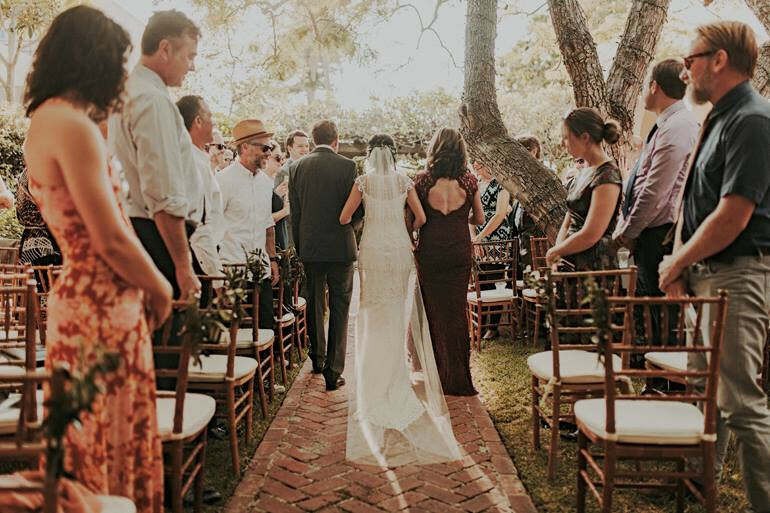 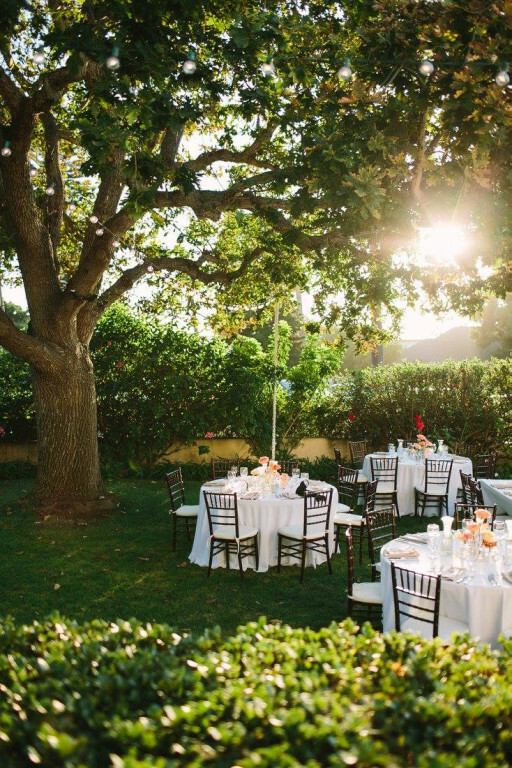 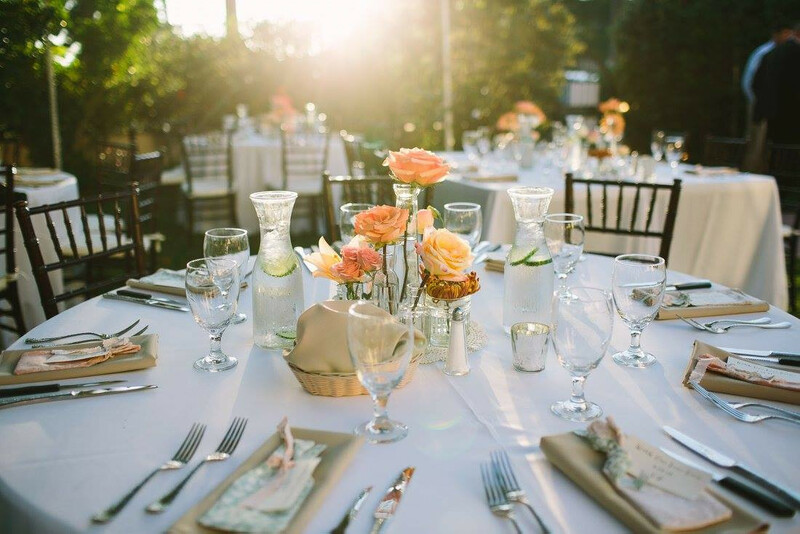 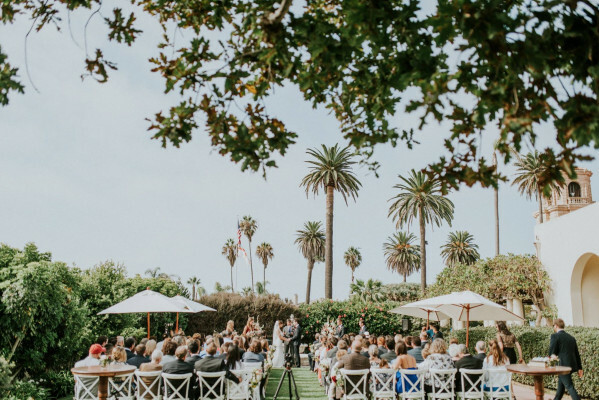 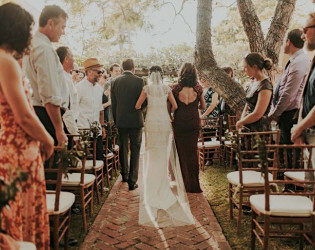 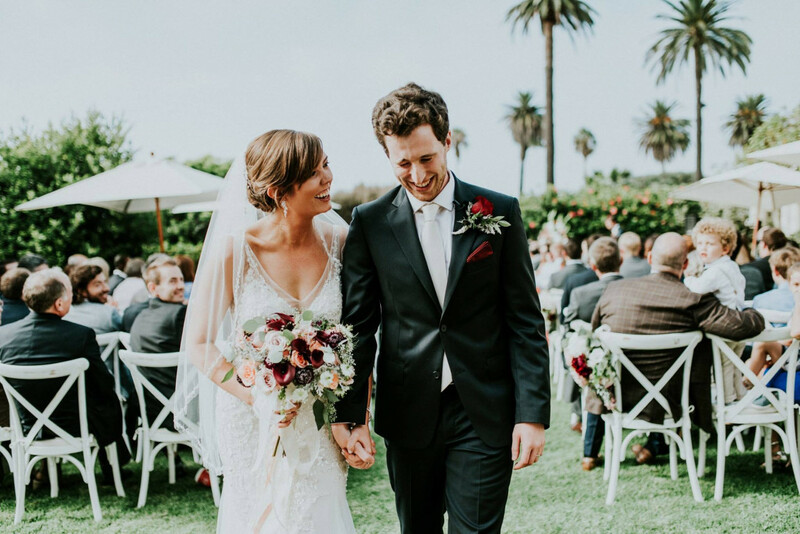 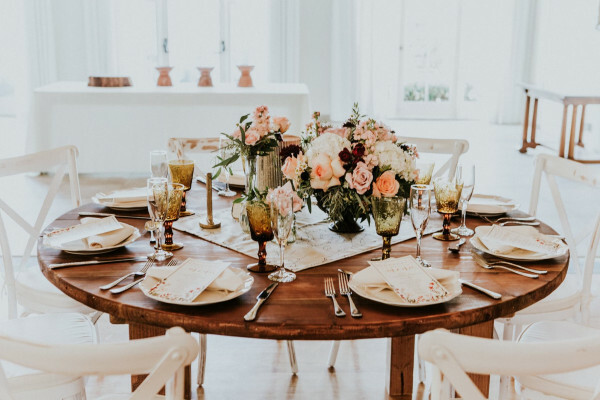 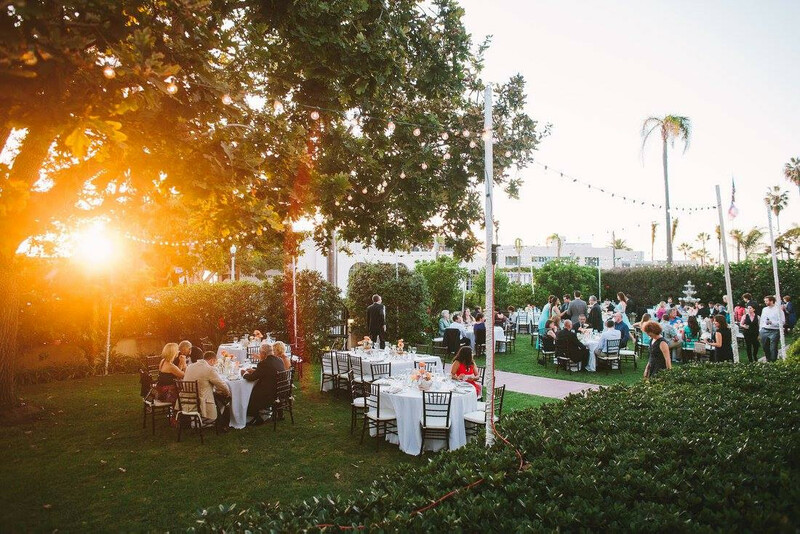 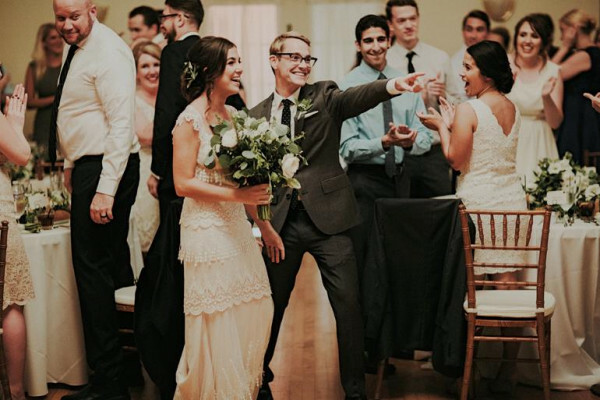 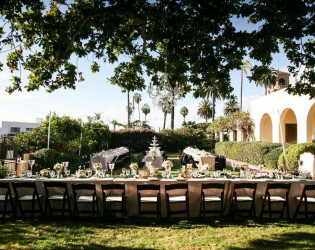 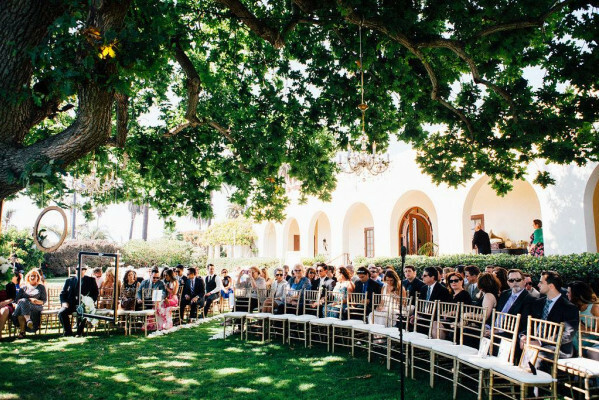 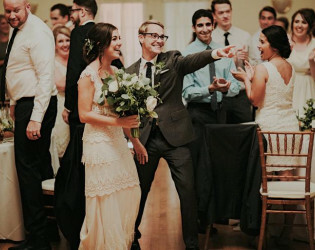 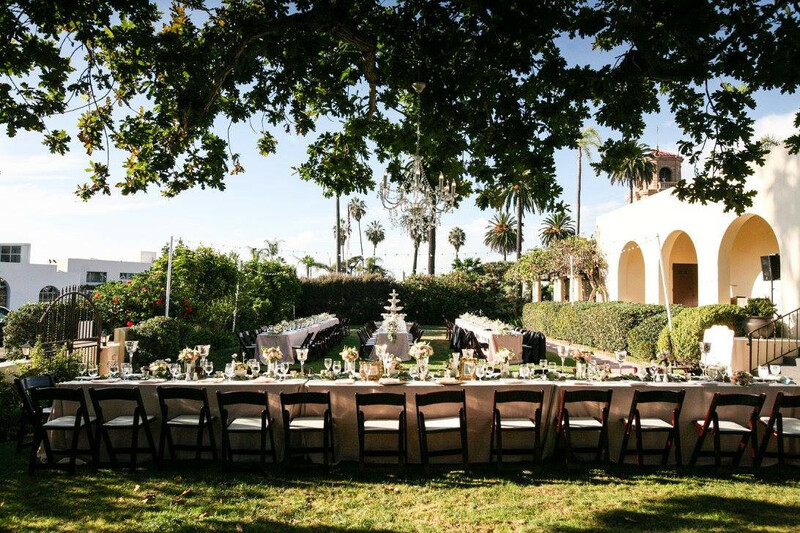 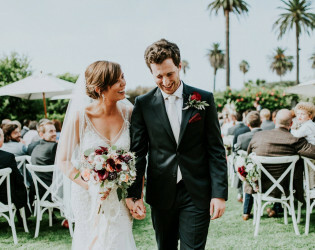 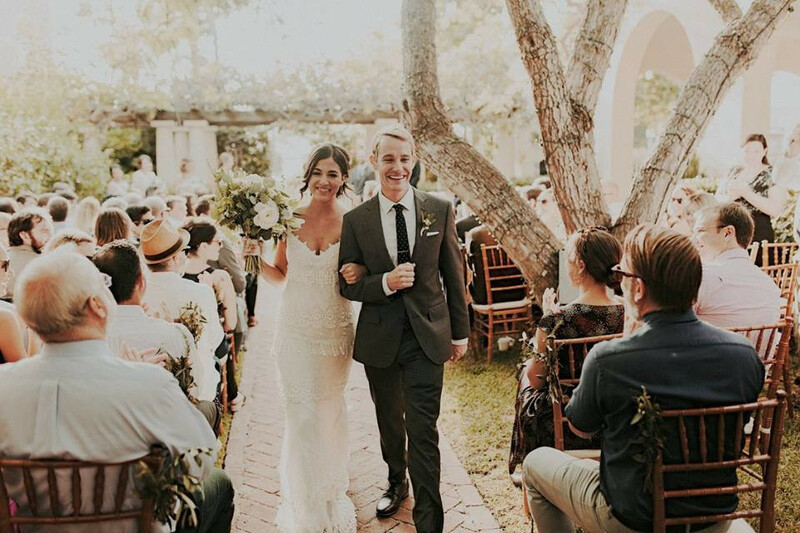 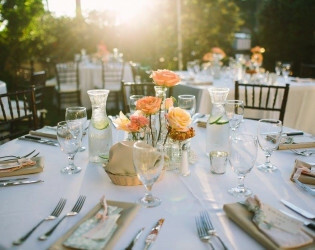 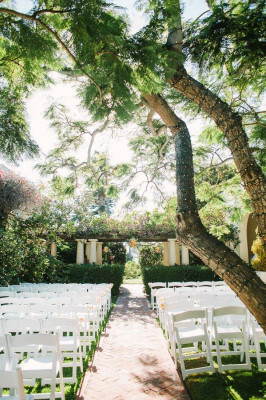 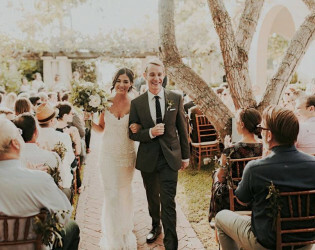 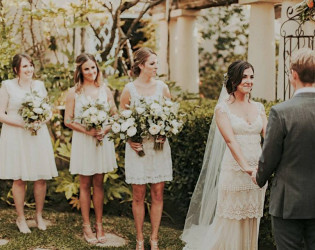 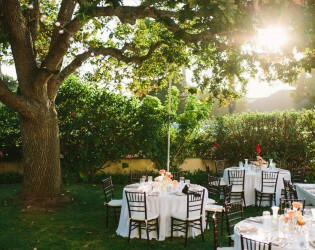 With its ocean view, famous Irving Gill building and exquisite gardens, La Jolla Woman’s Club is extremely popular for garden weddings and receptions. The club is situated on it’s own spacious grounds, including two ceremony gardens. The South ceremony garden is charming, filled with colorful plantings and an arch that can be decorated. The front ceremony garden has a choice of facing the European style fountain or the old English oak tree. 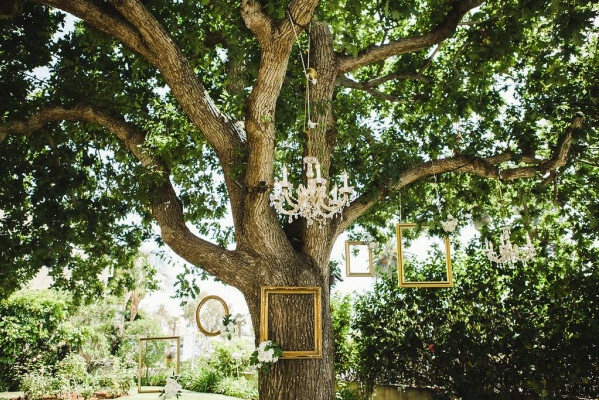 For ceremonies facing the tree, it is popular to hang floral balls or lanterns from the tree. 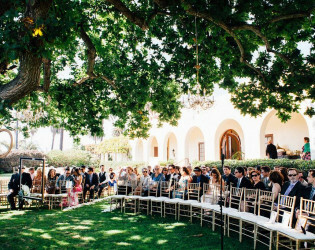 A third choice is to face the front of the historic building with the ceremony taking place in front of the famous arched doors. 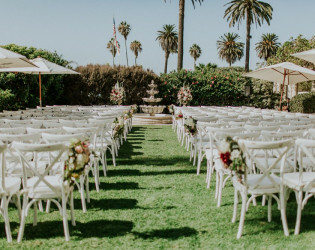 Whether the ceremony takes place on the nearby beachfront, or within one of our gardens, our brides and grooms enjoy the use of our special ladies and gentleman’s lounges to relax with their attendants prior to the ceremony. The North arbor-covered terrace with its ocean view is popular for the cocktail hour. 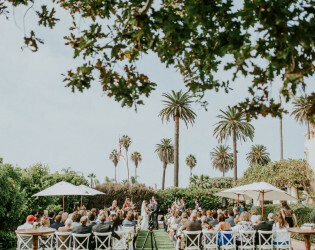 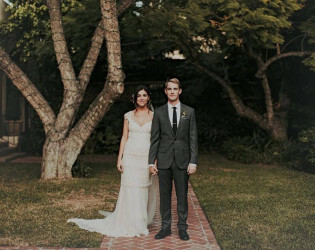 Many couples choose to walk to the ocean for photos while guests are enjoying cocktails and hors d’ oeuvres, returning to the club in time to make their grand entrance. 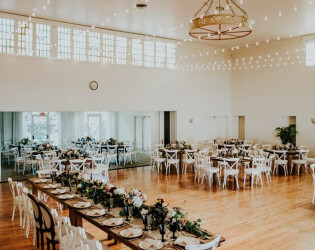 Inside the clubhouse, the main ballroom has hardwood floors for dancing and it’s own raised built-in stage for band or DJ. 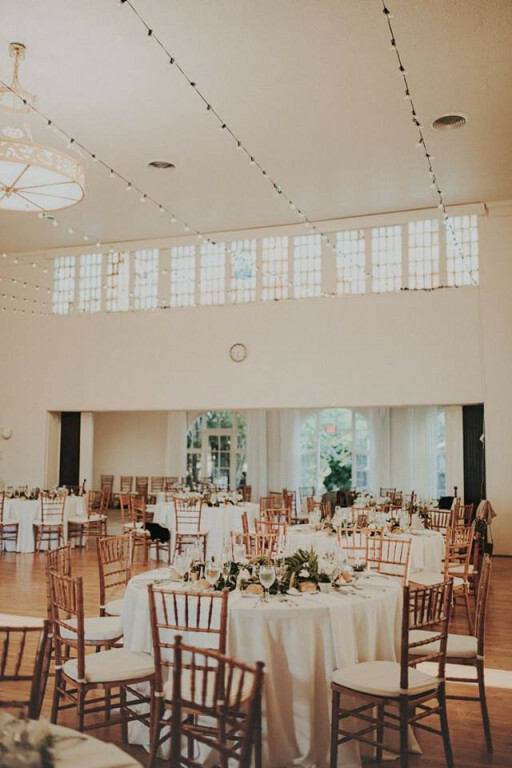 The ballroom has two adjacent parlors opening onto it that can be used to increase seating capacity, or for buffet. 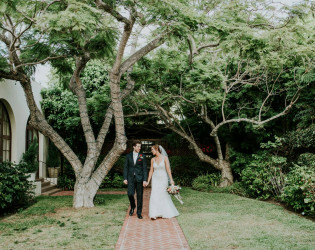 You have the exclusive use of the entire clubhouse and grounds for your wedding and your guests will enjoy taking a break outdoors on our covered veranda, on the ocean-view terrace or strolling through the gardens. 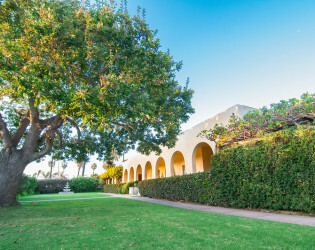 The building itself is very significant to La Jolla. La Jolla Woman's Club is the masterpiece of architect, Irvin Gill. When he built the building, his purpose was beauty first, and function second. 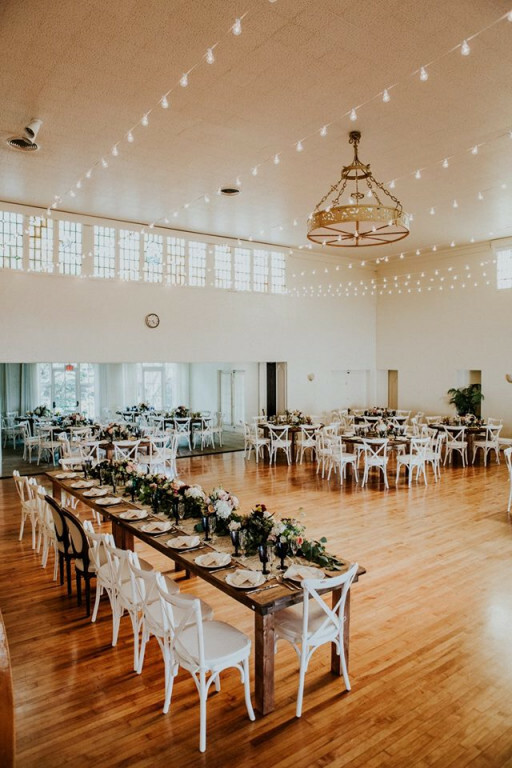 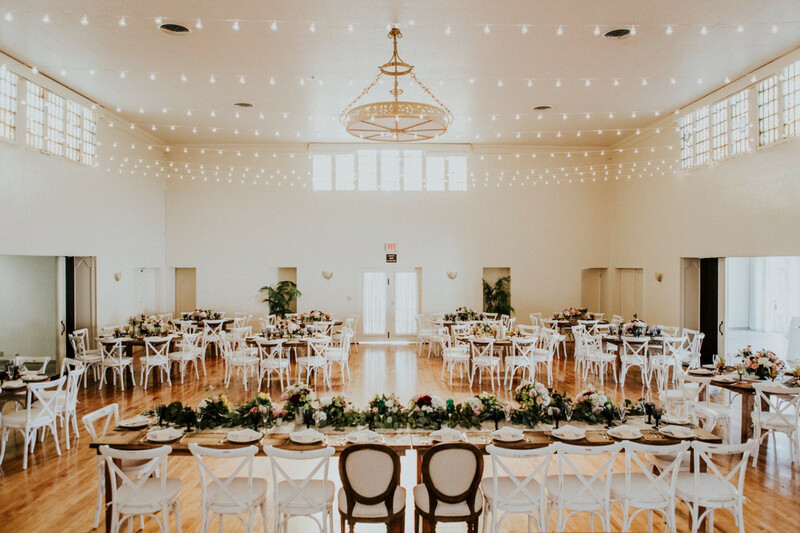 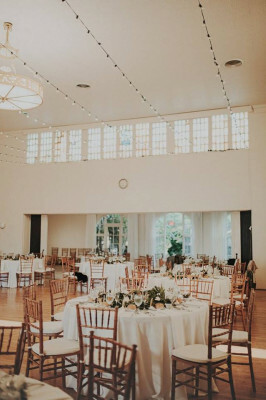 For a 100 year old building, it is advance for its time, in that it has an immense amount of natural light created by the big rounded windows and stain glass in the main ballroom. 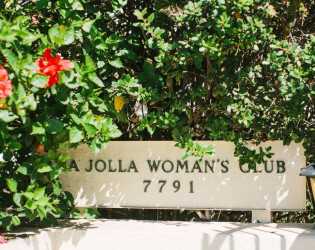 La Jolla Woman's Club also set the town of La Jolla architecture. 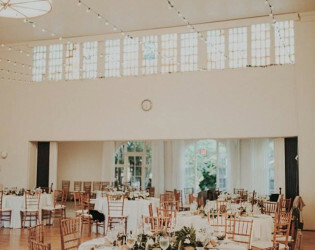 Many have mimicked the buildings big rounded windows, and spanish style to keep in tone! 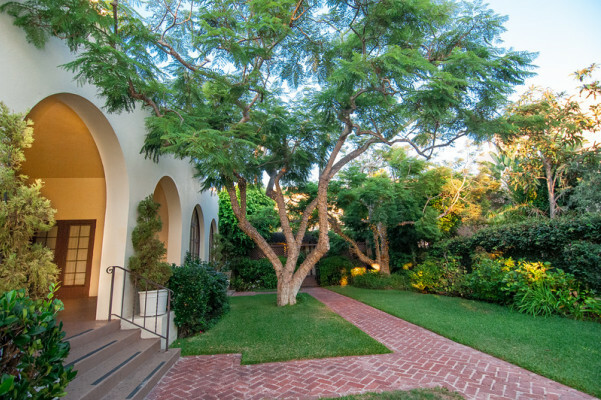 La Jolla Woman's Club is known for its beautiful gardens and natural light inside the building! 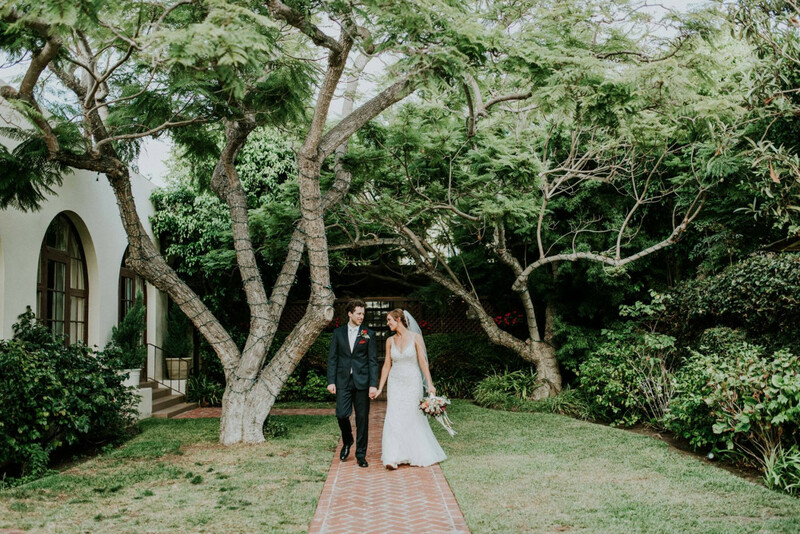 With its exquisite private gardens, historic Irving Gill building and ocean view, the club is a magical setting for any special occasion. 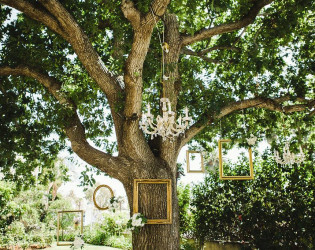 Hanging decor elements for a beautiful outdoor ceremony. 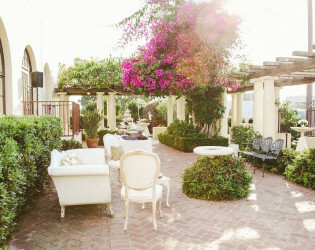 Vintage lounge setup in the courtyard. 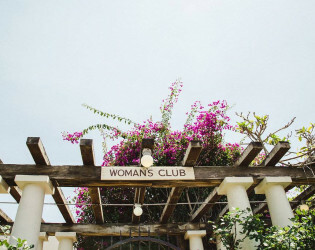 The La Jolla Woman's Club is a historic building in La Jolla, a neighborhood of San Diego, California. 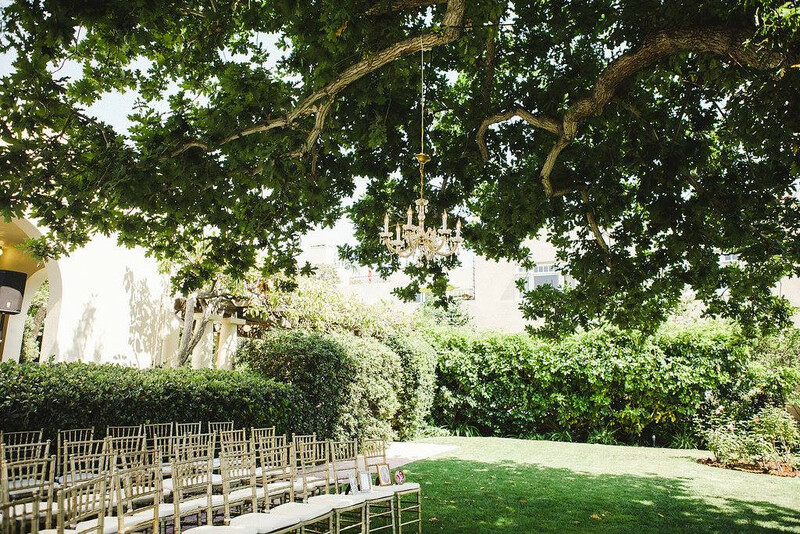 Beautiful reception surrounded by lush greenery. 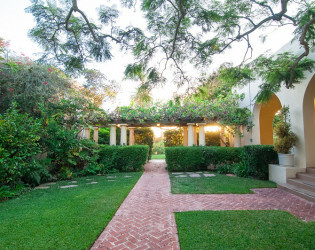 The club is surrounded on three sides by lovely gardens.